When you’re shopping for little ones this holiday season, be wary of toxic toys lurking on the shelves. 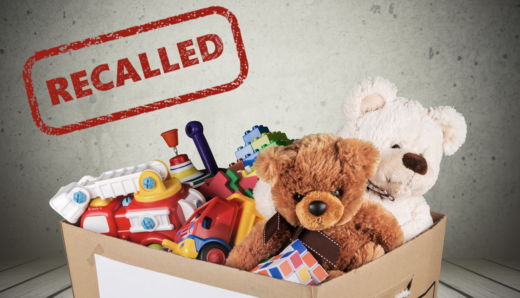 The California Public Interest Research Group, a consumer watchdog organization, has released its annual Trouble in Toyland report. The survey highlights choking hazards, poisonous items and even toys that might violate privacy laws. Put small parts, or broken toys out of reach from children. Subscribe to email recall updates from the Consumer Product Safety Commission and other U.S. government safety agencies, available at www.recalls.gov. Make sure any hoverboards you own contain a UL2272-certification sticker from the product-testing group Underwriters Laboratories, called UL. However, that compliance cannot guarantee that a hoverboard will not overheat or catch fire. Balloons are responsible for more deaths in kids than any other toy. When small children swallow or inhale flimsy plastic balloons it can cover the entire airway. CALPIRG identified several brands with misleading warning labels, and suggested avoiding balloons for children under 8 years old. Lead-laced fidget spinners could severely disrupt mental and physical development. CALPIRG found two fidget spinners with lead levels well over the federal legal limit. The watchdog group is pushing Target and Bulls-i-Toy to remove the products from shelves. Bluetooth toys could be collecting data on a child or other family member. For example, the interactive doll known as “My Friend Cayla” connects to the internet, and many consumer groups worry it could spy on families. There are petitions pushing the federal government to recall the doll. Germany banned the doll earlier this year for privacy violations. Walkers and scooters can send toddlers tumbling down stairs or potentially plunging into an outdoor pool. An interactive play station without wheels is a lot safer. Magnets can be very dangerous if swallowed. "Even one is dangerous when swallowed, when two or more are swallowed, they can actually attract each other and pinch the gut in between," said UCSF emergency room Dr. Shruti Kant. "This can compromise blood supply as well as cause holes in the gut which can require surgery."